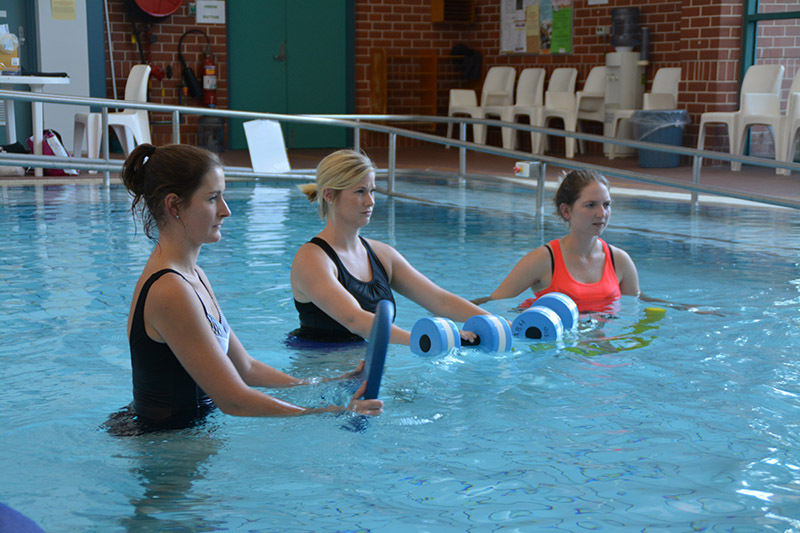 Hydrotherapy refers to a water based exercise program designed by a physiotherapist or exercise physiologist. Hydrotherapy differs from swimming because it involves individually tailored exercises that are all completed in warm water. The aim of these exercises is to decrease pain, increase range of movement & flexibility, as well as developing muscle strength & general fitness. 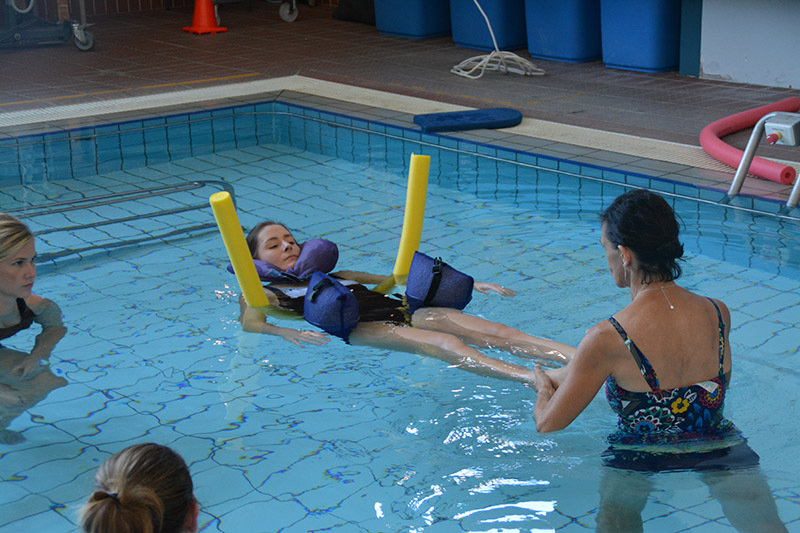 Hydrotherapy is often a nice alternative or adjunct to a land based exercise program. The pool is heated to approximately 33 degrees which aids in muscle & joint relaxation to reduced stiffness or spasm. The buoyancy of the water assists in reducing gravity & thus load through your joints which in turn makes similar land exercises much more comfortable. Equipment such as noodles, kick boards & paddles can all be used to assist exercise progression by increasing resistance through the water. Back pain, hip, knee, shoulder pain & stiffness. Other chronic conditions such as arthritis, fibromyalgia & weight loss. Why choose Flex Out Physiotherapy hydrotherapy? Flex Out Physiotherapy make use of the Albury Wodonga Health (Albury campus), King Swim (Canberra) and Wangaratta Indoor Sports and Aquatic Centre hydrotherapy pools. Each provide a convenient location with close access to healthcare facilities. The location also ensures daily assessment & maintenance of the pool to ensure the water temperature & quality is optimal. The pools offer ramp access, changing depth, handrails, non-slip tiles & change room on site. 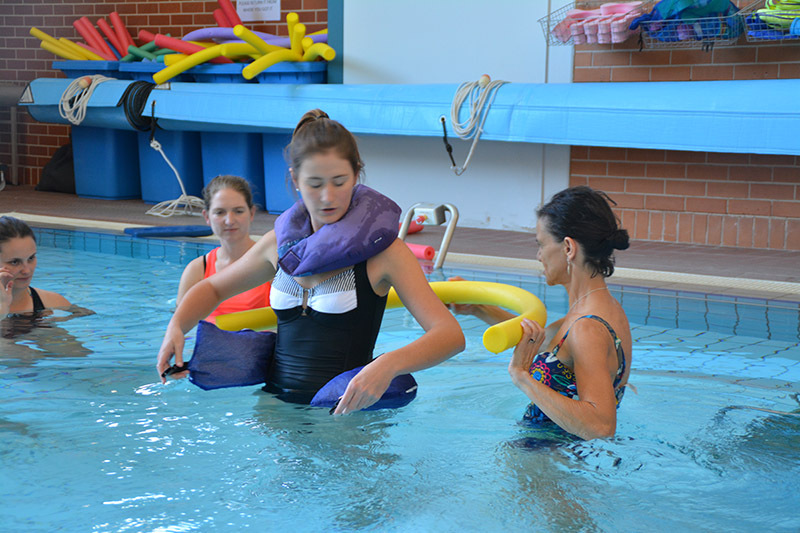 We also have access to a variety of equipment which can be added into your program including steps, floating devices, arm resistance equipment, kickboards & an in water seat. Each session is for 45 minutes and classes are limited to 8 participants to ensure close supervision by the physiotherapist. For private clients, per session or packages are available. Please contact our Albury or Canberra clinics directly to find out the cost for each location. Private health fund rebates are available. Yes. Rebates can be claimed through most private health funds. Appropriate swimming attire, towel, non slip shoes that have not been worn outside i.e. thongs or sandals, a water bottle and any medications you may require poolside such as angina medication. Yes. A hydrotherapy session is an appointment so a booking must be made prior to your attendance. If you are unable to attend please phone your nearest clinic to cancel. If you do not attend of 3 occasions without notification, you position will be passed on to the next client on the waiting list. Please see our ‘Participant Information Sheet’ for a list of illnesses that will exempt you from taking part in our hydrotherapy class.